Did you know that most small chips can be repaired? We know time is important to you, so we’ll always assess your windscreen to see if we can provide an O’Brien® repair using our exclusive patented Glass Medic® tool. If you have a windscreen chip, it’s important to get it checked and fixed quickly, as it could crack at any time, often when you are least expecting it. Repairing a chip will make your windscreen strong again, and restore the stability of the windscreen to help prevent further cracks. We can repair your windscreen in around 30 minutes. You can drive away immediately, knowing our workmanship is guaranteed for the life of your vehicle. 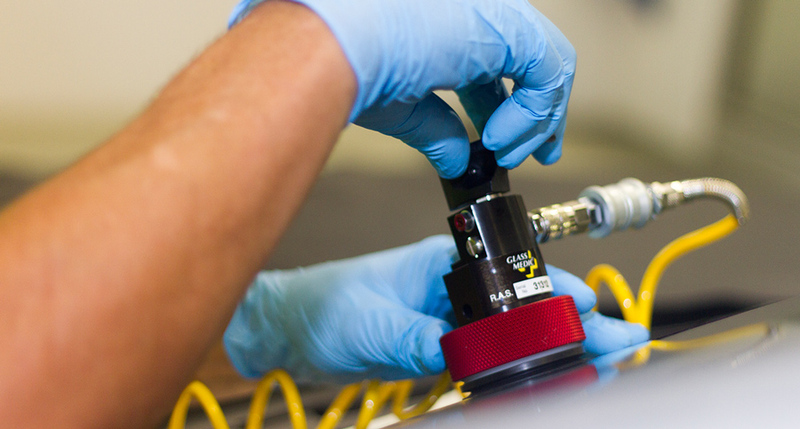 Our technician inspects the damage to ensure a successful O’Brien® repair can be undertaken. We clean the chip area of as much dust and glass as possible using a special tool. This ensures our resin bonds to the windscreen properly. Next, we place our patented Glass Medic® device over the damage to create a vacuum, before filling the chip with HPX4, our strongest ever resin. The chip needs to located at least 5cm from the edge of the windscreen. If the chip is in front of the passenger, the whole chip (including all off shooting cracks) needs to be smaller than a $1 coin. Your O’Brien® technician will check all of these items (and a few other technical ones) upon seeing your windscreen and will conduct a detailed inspection to determine if the windscreen is ready for a repair by O’Brien®. Can every chip be repaired? No. Depending on the size of the chip or its location O’Brien® may not be able to offer a chip repair. 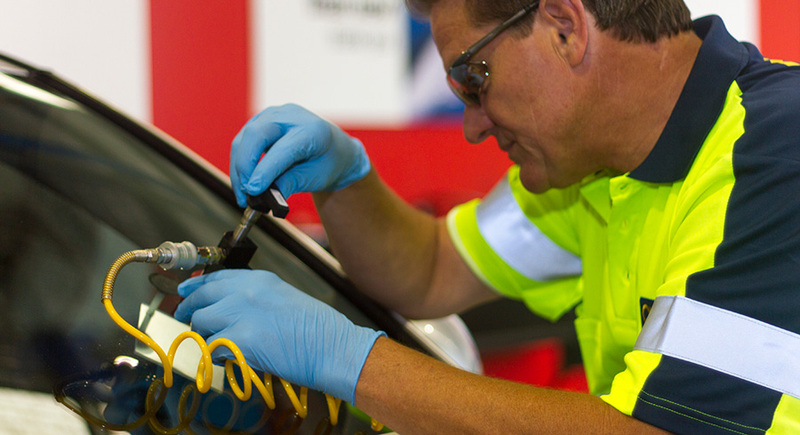 Our auto techician will assist you in deciding whether the chip can be repaired. What happens if a chip repair fails? In some cases, the attempt to repair a windscreen can make the chip bigger. This is due to small micro cracks emerging from the initial impact through no fault of our expert technician. In this rare case, we will credit the cost of the chip repair from the cost of a new windscreen from O’Brien®. Our repair will always look better than the unrepaired damage, but it will not make it invisible. We inject our special resin into the chip and in just half an hour you’re back on the road. Will it restore the strength of my windscreen? Chip damage can significantly weaken a windscreen – but repairing the chip properly will make your windscreen strong again.